The police were polite but always strict. Their favourite word is interdit – forbidden. 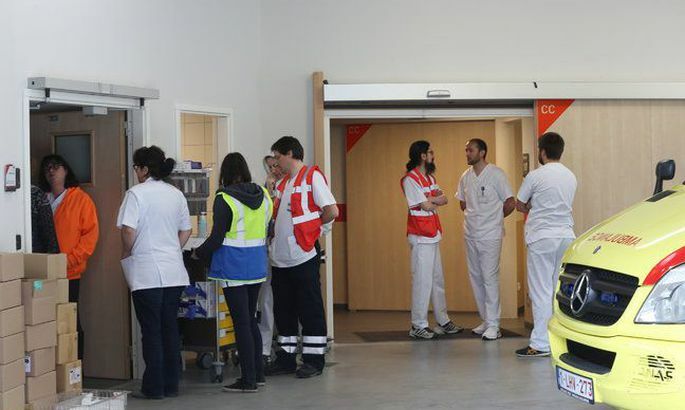 Saint-Jean clinic hosts 22 victims from the Maelbeek subway station. Two are in critical condition, three in average, and the rest lightly injured. Gathered at a ward as pictured, the medical staff works double shifts. In the city, soldiers abound, especially towards the centre. 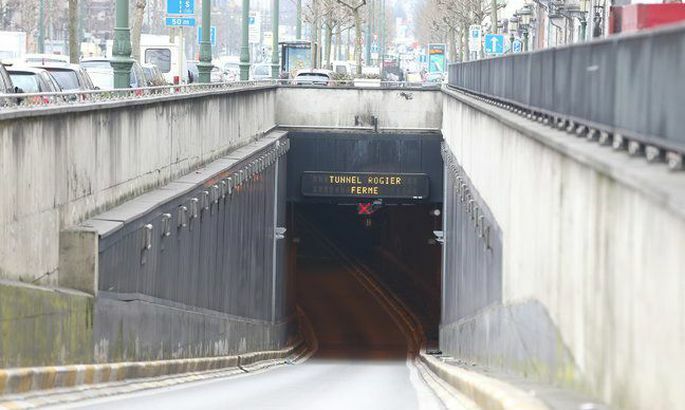 Tunnels and subway stations are closed. The lady is visibly puzzled: why would anybody volunteer to go to a place where dozens just got slain. Already, they have cut off the train traffic between France and the Belgian capita, to say nothing about the airplanes. Rental car is our last option. The news spread lightning fast and even here, nearly 200 kilometres South of Brussels an in a terminal empty of people, they know what happened in the morning. Despite the fact that on the freeway towards Belgium, nothing points to the tragedy. No police cars seen, no army colonnades. Just the endless string of trucks, lion’s share bearing Dutch and Eastern-European number plates. One will hardly notice as he crosses in to Belgium. «Now there was a sign saying we are in Belgium,» suddenly says the photographer turned driver. «Entry into airport closed!» announces a neon sign at city’s edge. This is the initial note of unease. Soon after that, however, we hear the unofficial Brussels anthem of the day. Which are the near-constant sirens here, there, everywhere. Mainly, the source is ambulances – and the occasional police car –, all speeding in one direction. Straight and right. The very direction where a soldier-boy is headed. Looking tough yet kind. With an automatic rifle ready. There are many like him around. For an untrained eye, the beige guys are not too clearly seen to the backdrop to the houses and the greenery. Later, towards the centre, their presence is much stronger and felt. It is here we abandon the rental car. 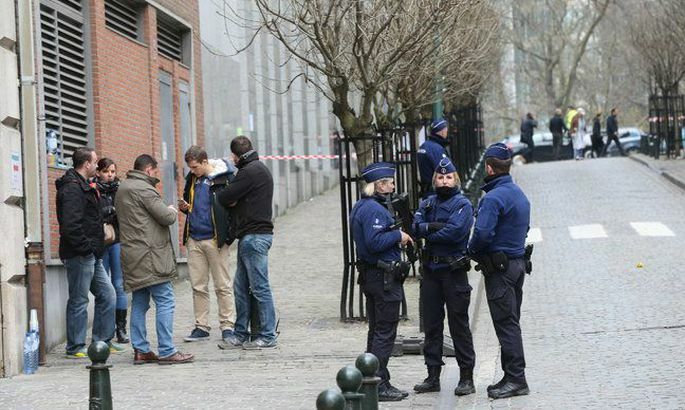 Firstly, the soldier said it is two kilometres to the Maelbeek subway – where the bomb went off in the morning. Close enough. Secondly, all subway stations are closed down anyway. «Mister, if you want to write something joyful, home over here!» yells a man. With his buddies, he has set up a little stall on the pavement, offering people free tea and coffee. Just to cheer the people somehow. Of course, he had no problem detecting our profession. Eyes everywhere with cameras, microphones and notebooks, they are all over the place. But are treated with respect. Likewise near Saint-Jean clinic with armed policemen standing around. Just showing the press card brings to us the press secretary of the hospital, Feys Herrance. «Do not talk to victims,» she stresses as she shows us around the corridors. Here, the victims total 22, from Maelbeek subway station. Two are in critical condition, three in average, and the rest are slightly wounded. «But then there are the psychological scars,» explains the Belgian lady. Same goes for the medical staff clothed in orange, gathered at a ward. «It’s double shift, they are working extra hours,» says Ms Herrance. The Saint-Jean clinic serves as a mental border point to what separates Maelbeek station from rest of the city. Which line is guarded by policemen or the military, depending on location. Polite, but always strict. Their favourite word is interdit i.e. «forbidden». Mr Kerkhof is a Dutchman who has by now studies in Brussels for three long years. As the blasts went off, he was at home. He knew nobody at the subway station at the time, but had a friend who was in the airport. «He was close as the glasses bloke. But he wasn’t hurt,» says Mr Kerkhof. The attitude in Mr Kerkhof is that of amazing fortitude and reconciliation. The man is trying to go by the principle of fear not keep on living. «That they close down everything in town … that can be for a day or two. But if it happens it happens, not good to think too much on it. If you are the wrong guy at the wrong place, then that’s just the way it is,» muses Mr Kerkhof who shares an apartment with three fellow students in Brussels. He isn’t about to be provoked by the question if Moslems should be treated tougher. «Usually, people are wiser and know these were not Muslims,» says Mr Kerkhof. Instead of that, he thinks all efforts should go towards destroying the terrorist ISIS. «But even that would be no 100 percent guarantee,» he admits. A communications student aged 21, Julie Gay-Para was at a lecture at the time of the explosions. Promptly, hers and other students’ Facebook pages were being filled with what had happened. «I was in shock,» recalls Ms Gay-Para. Anyway, the 9:30 am lecture was cut short for the whole group. 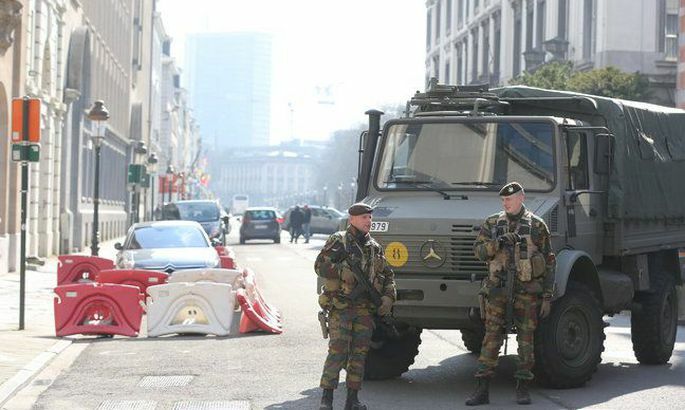 «People are angrier than ever before,» the Belgian girl says to describe the mood in Brussels. But she believes that the people will intentionally be out and about.